Need help with something? 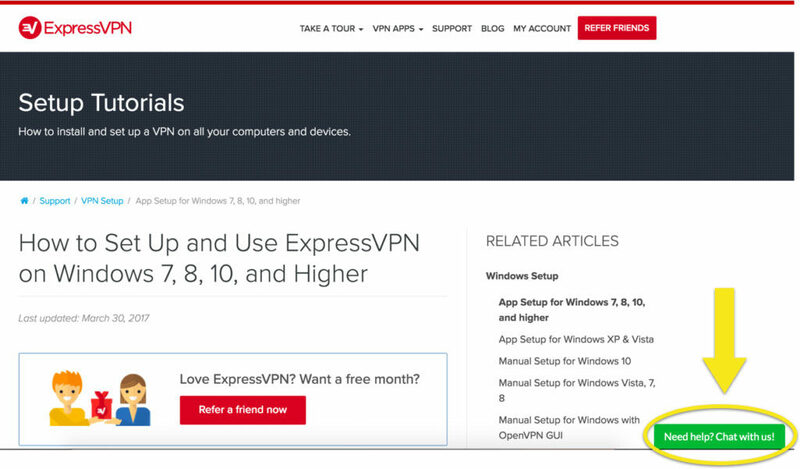 You can contact the ExpressVPN support team at any time by clicking or tapping on the chat box at the bottom right-hand corner of your screen. To contact a support agent now, please click here to contact the ExpressVPN Support Team via Live Chat.